AVerMedia has announced their Dream Streamer contest which gives content creators the chance to win the Grand Prize of a 4K gaming/streaming rig including accessories. While in theory, this sounds like a great idea, there are some issues we’ll cover later in this article. The contest has various prizes provided by AVerMedia, CyberPowerPC, Cooler Master, and Western Digital. Prize packs are available for the top 3 contestants. There are even weekly prizes up for grabs by those who participate in the voting. Prizes include things like a 4K webcam, gaming headsets, microphones, exclusive AVerMedia swag, and placement on their streaming channel. The qualifying round, which began on October 3rd and ends on November 5th, gets those selected an invite to stream in 4K using the Dream Streamer PC rig in AVerMedia’s TwitchCon booth. Remote streaming during the competition is allowed for qualifiers unable to attend TwitchCon. Submit a 5-10 minute video (streaming gameplay and commentary) with the themes of Dreaming, Streaming, and Sharing. While it can feature any game, they recommend a title that supports 4K output so you can discuss details you could be showing but can’t with your current system. Videos must feature the Dream Streamer overlay (available for download from the contest page). Videos must be uploaded to the Dream Streamer site page AND posted on your own channels (including social media) with the #dreamstreamer hashtag and @AVerMediaGZ called out. Entry is limited to creators with fewer than 10,000 followers. Teams can submit videos, but no more than 2 team members can participate in the video. 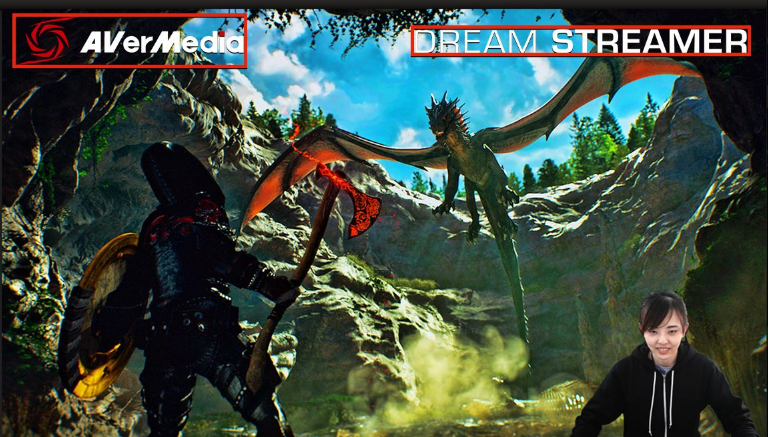 Video overlay template showing AVerMedia logo (top left) and Dream Streamer logo (top right). Discuss what winning this system will do for you and your community. Explain why streaming in 4K matters. Showcase your gaming skills and quick wit/humour. Show off game highlights that would look better in 4K. Share your message with your audience in creative ways. The contest site doesn’t mention how the categories will be weighted, and it should be noted that community voting will account for 50% of the overall score. While the available prizes are great, and the overall concept is fine, there’s still one major concern. While the contest doesn’t explicitly restrict itself to only Twitch broadcasters, there are a few things that point to Twitch being their intended audience. 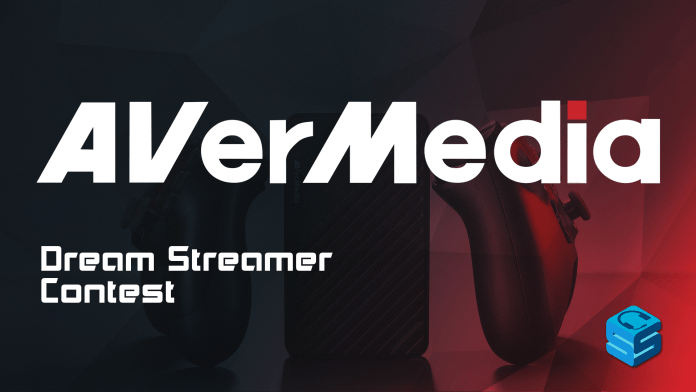 Qualifiers receive an invite to stream while at TwitchCon at the AVerMedia booth. Entries are limited based on a number of followers as opposed to subscribers if this was directed towards streaming on YouTube. Why does any of this matter? Streaming in 4K on Twitch isn’t actually supported. With a soft-cap of 6,000 kbps, streamers would be hard-pressed to broadcast 4K at 30FPS, which even with a 12,000kbps bitrate would look like a garbled mess of hot pixilated garbage. Reddit and the OBS forums are filled with reports of some broadcasters only having the 720p (3500kbps) transcode available when pushing a source bitrate of 9,000+kbps. With this in mind, it seems rather ridiculous to explain why streaming in 4K matters. In fact, it would be easier to explain why streaming in 4K doesn’t matter on Twitch. You could easily discuss how amazing a game’s details would look in 4K. It becomes a moot point, however, when you consider your viewers would never be able to see it anyway. Did AVerMedia miss the mark when it comes to understanding the platform on which they’re promoting this? Perhaps they have insider information and Twitch has plans to announce support for 4K streaming soon? While this would allow them to directly compete with YouTube, who has offered the ability to stream in 4K for some time now, it seems unlikely.